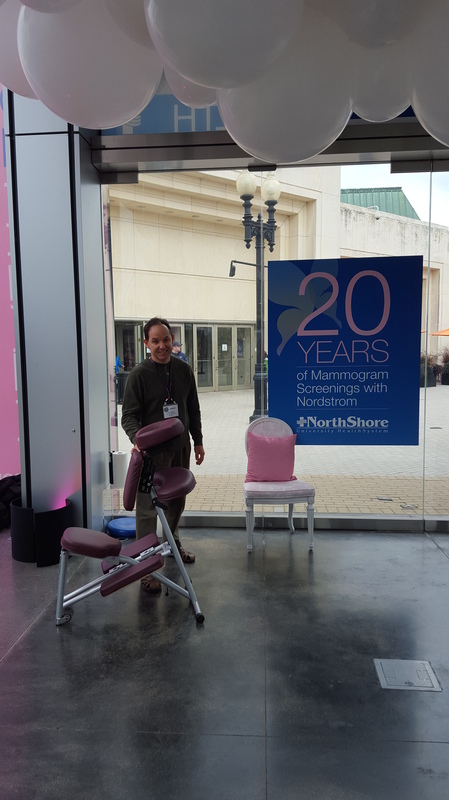 October 24 and 25, 2015, Working Well Massage will be providing free chair massages inside the Cube at Old Orchard Mall in front of Macy’s curtesy of NorthShore Health System from 2pm-5pm. Andrew from Working Well Massage stands ready to give massages! 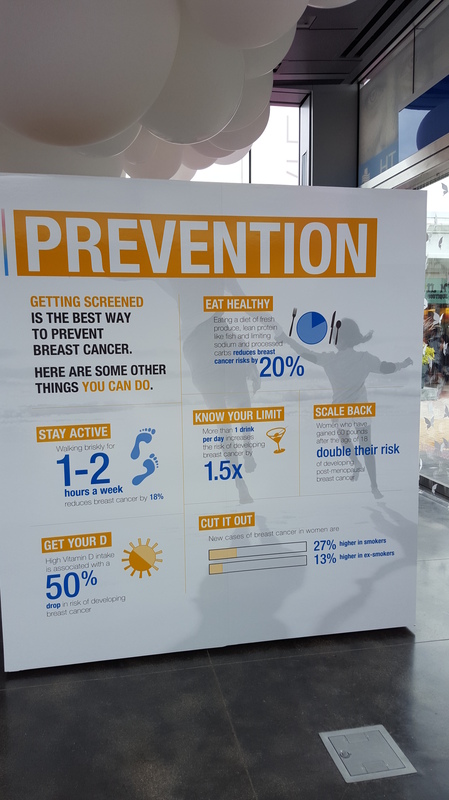 Check out the helpful tips about breast cancer awareness! 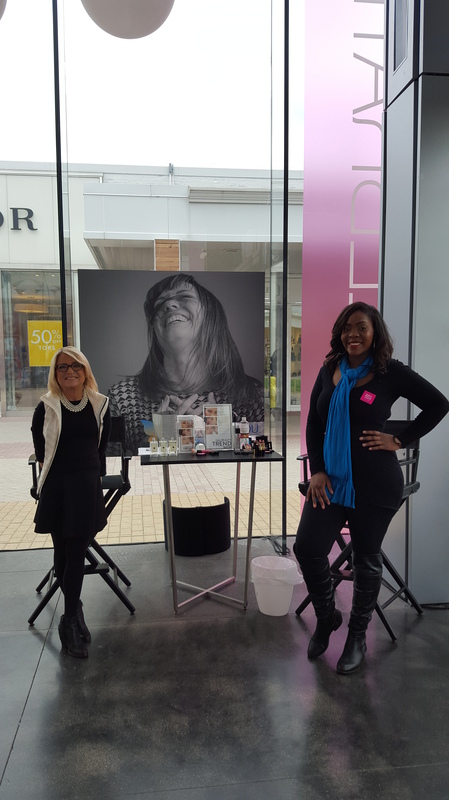 On 10-3-15 WWM worked alongside talented make up artists from Nordstrom who were giving free makeovers! 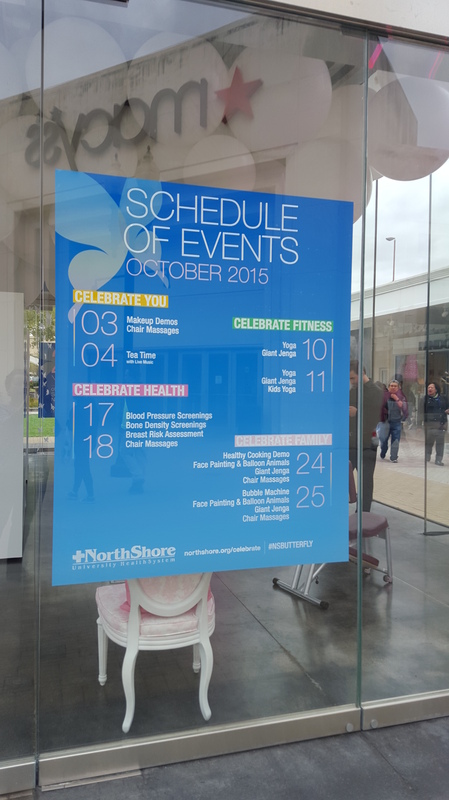 Today and tomorrow (10-24 and 10-25) there will be free face painting as well as snacks and free massages!